Arm balances require a practice of patience, dedication, persistence, compassion and some more practice! Even for people that have been practising yoga for a long time will agree that it is a challenge to lift your body up, while balancing, and then perhaps transition into the next defining shape. It certainly requires concentration, balance, and technique on placement. In every strong vinyasa class I teach at Divine Flow Yoga, I try to incorporate at least one arm balance, sometimes two. The reason I use these little gems is because arm balances tend to break a pattern of seriousness whilst inviting playfulness and a deeper experience into a class. 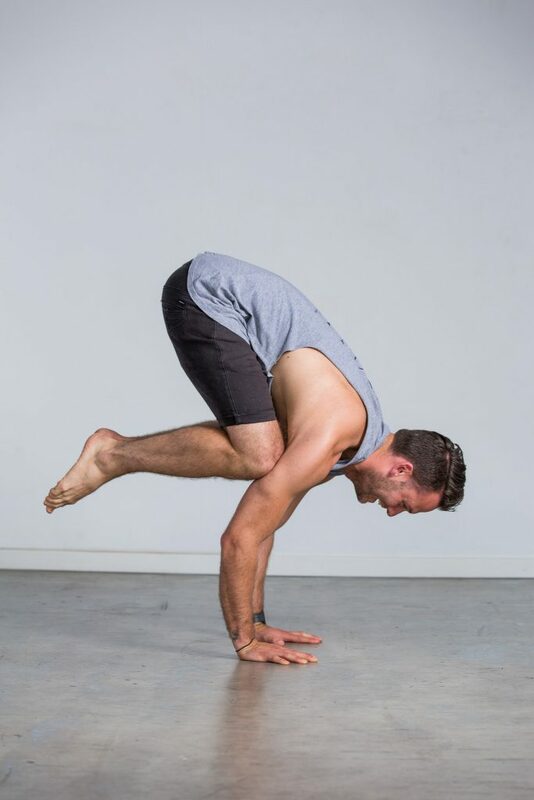 Some of the benefits of arm balances are that we build strength in the arms and abdominals, and find a very healthy balance between comfort zone and challenge. I became fascinated by arm balances later on in my practice, after many stumbles, falls, some confusion and even sometimes frustration. I kept at it and learnt that the secret is to relax the body. It is not easy to trust the process of balancing your entire body weight on your arms and there is a very common fear of ‘falling on your face.’ Instead, try to focus on being relatively supple in your hips, hamstrings, groins and torso. If you can hold plank and boat pose relatively well, the rest is in placement and shifting weight. Book yourself into our arm balance workshop. Once you have found your threshold for balance, allow your muscles to work less intensely and find the major clues on how to prepare and modify. Free for Divine Flow members or $25 for non-members. There are limited spaces so make sure to book your spot! After reading this, if you feel like sharing with me, what have arm balances taught you? Email me info@divineflowyoga.com.